This week three planets change signs. That’s a shift you’ll feel. 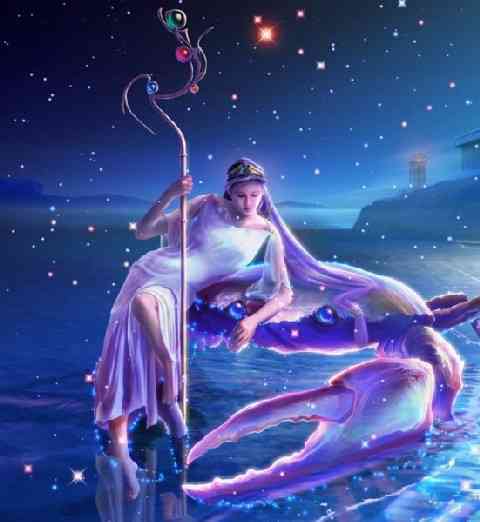 On Sunday Mars the warrior, planet of action, moves into the watery, sensitive sign of Cancer. This is not a comfortable or especially powerful sign position for Mars. 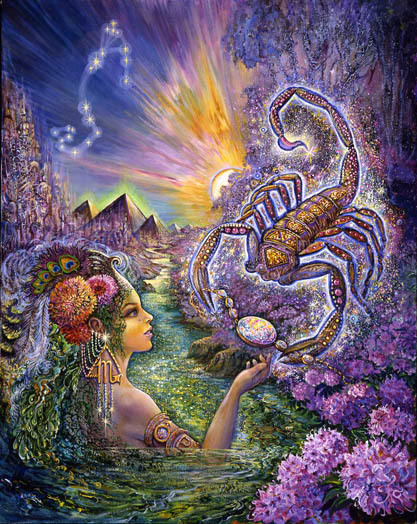 In ancient astrology teachings Mars in Cancer was designated to be in a “fall” position. His naturally fiery impatience in Cancer is constrained by emotional concerns. Collateral damage must be considered as he seeks to charge full-speed ahead. Mars finds it harder to be on the offensive in the sign of Cancer – except in family disputes or disputes over land and real-estate. It’s a tricky position that the ancients claimed could hasten a personal downfall. For the next several days its time to take action on what you’ve carefully thought through. If you need more information – if you need to express your anger, clear the air, or set the record straight, it’s time to do it. It may be time to tell the truth to someone who doesn’t want to hear it – or to be told a truth you don’t want to hear. Conflict is always just a step away whenever Mars is involved. 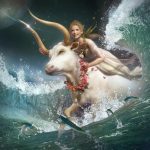 On Tuesday Venus moves into the sign of Taurus – a very strong position for her. I anticipate it will be a “dust-settling” time after a significant blow-up or break-up. Highlighted will be her soothing, stabilizing influence. Timeless love, enduring beauty, natural organic unfoldment, harmonious rhythms, fine craftsmanship, women of substance, and men of strength step forward to be loved and fully appreciated. Quality matters. Also on Tuesday, Mercury, the messenger, steps into his strongest position. For him moving into the sign of Gemini is like coming home. He’ll be home for a few weeks. 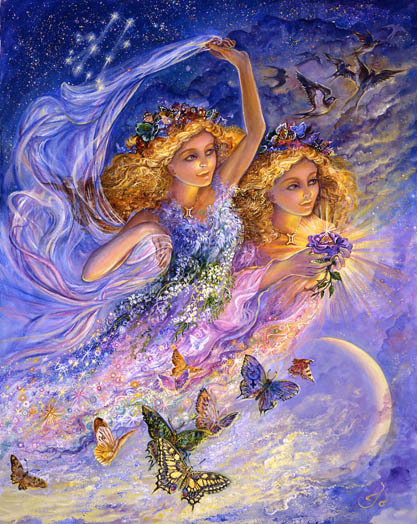 Crystal clear perception is Mercury in Gemini’s gift to the world. Venus and Uranus are about to collide in the fiery sign of Aries. 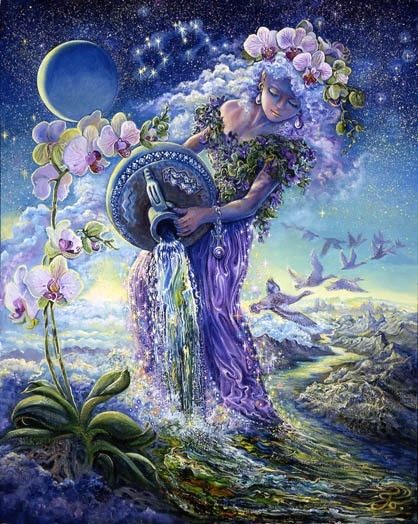 There is a fusion of the feminine principle with progressive thought and freedom. An abrupt severing of relationships is possible. On the world stage that may be highlighted as the U.S. pulling out of the Paris climate agreement. 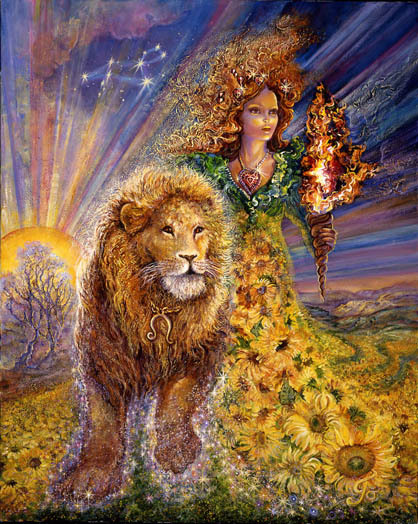 On a personal level, because Mars, Aries ruler, transits into the sign of Cancer, I would anticipate some pulling back or severing of family ties, a move away from home, or a separation from what’s traditionally provided sustenance, safety, and security. In just nine days Jupiter turns direct. A long period of relationship reconsideration is coming to a close. Conclusions are reached and decisions are made – maybe not this week but you seem to sense where things are headed. The war of words may be coming to a close. In the world of ideas there comes a time when you’ve reached a saturation point and you begin to crave a reconnection with your simpler, more essential self. It’s time to come home. 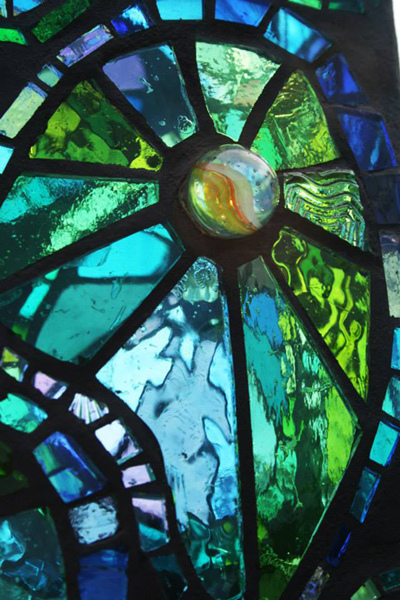 But the home and the self you’re coming home to may feel unsettled and conflicted – upset, hurt, and confused. Reconnection involves a re-alignment that cannot be achieved without standing up for your most sensitive self. A fight with the family or a family member may be necessary to eliminate influences from the past, to bridge separations between you and what nourishes you. Safety and security is not optional. Your mom or your role as a mom may be central. 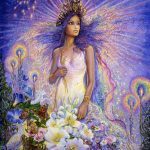 What you’re defending is your emotional self, the nature of the foundation that supports everything you are and everything you do, your right to nurture and to be nurtured, and to access what you need to launch yourself into a joyful life. Your ability to access joy depends on your ability to prevail against forces that could distract or hurt you. By the end of the week there is a profound shift that may feel like a new beginning. A phase of letting go of old relationship conditioning and subconscious fear is coming to a close. Inner breakthroughs put you on the same page with yourself. There is still something unsettled beneath the surface, but the central issue for you is coming to some kind of resolution. You may feel by the end of the week that you’re no longer handicapped by confusion, conflicting impulses, and essentially having to fight with one hand tied behind your back. A sense of power is being returned to you. 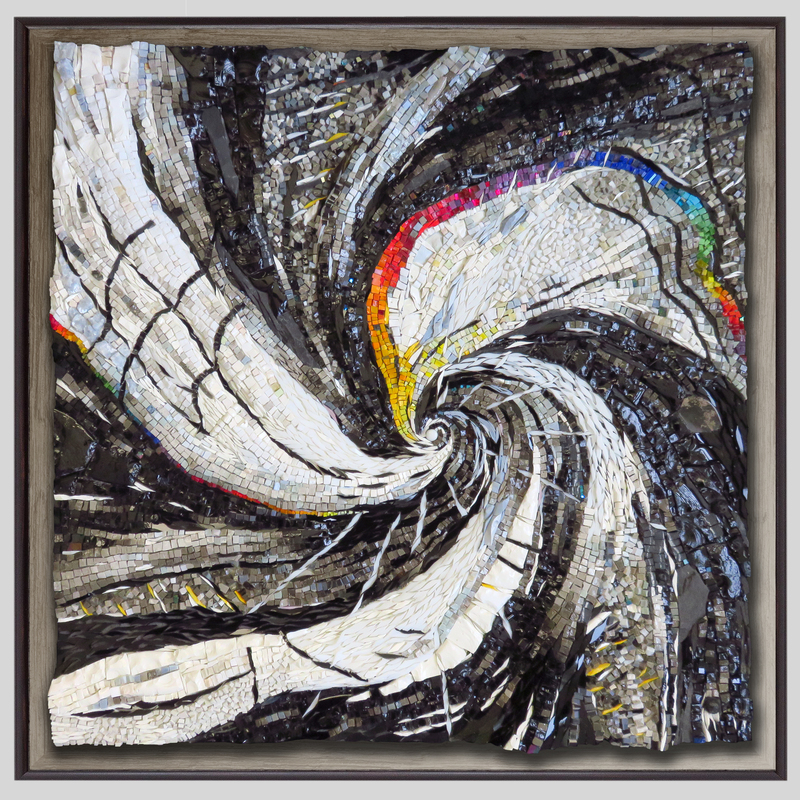 Things begin to settle into a more natural rhythm – a rhythm that feels vaguely familiar and more comfortable. By the weekend it may be time to state how you feel, to announce a decision you’ve made, or to request that another clarify or decide through the demonstration of a concrete action. It’s time for a new beginning in love. Know that you’re especially attractive in the most substantial ways over the next five weeks. It’s an advantage you can use to ease your way through even the most difficult terrain. By Tuesday a general consensus about a particular approach to life fits perfectly with your most natural approach. Things begin to make more sense as your best skill set is exactly what’s needed. Those around you become more curious. You’re always that way. The pace picks up to a speed you’re more comfortable with. Conversations get more interesting and you know exactly the right time and place to interject your most pioneering and courageous ideas. You can comfortably take the lead position without worrying about whether or not others will follow. They will. The more trail-blazing your direction the better. It’s time to go with confidence where no man’s gone before – or to seriously consider it. What’s being exposed is something that’s been percolating since April 1st of this year. You may receive some good news that involves a chance to financially stabilize or capitalize. It will be necessary over the next seven weeks to fight to protect and defend your right to feel supported, well nourished, and well paid. A severing of emotional ties to the past may be necessary. Get ready to feel more energized as Mars moves over your ascendent on Sunday. Get ready to feel more stimulated, more excited, more action oriented – and possibly more embattled. Family members may irritate. Tensions may increase. You may need to defend your right to feel what you feel and to act on it. Actions will be instinctively guided over the next several weeks. There will be lots to do involving family and contacts with your past. 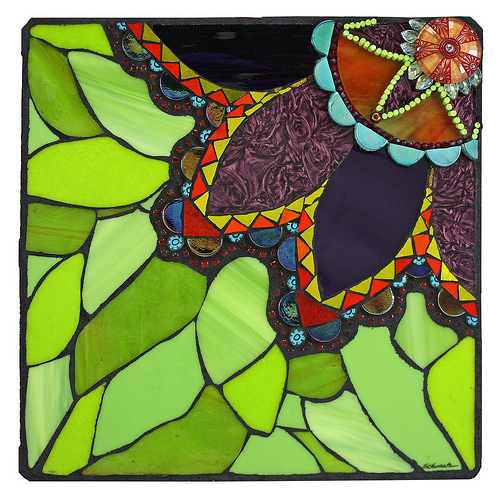 Emotionally things are stirred up as they always are – but with more force through July 21st. Things may settle into a more routine rhythm after that. The important thing to know is that this week your actions set the tone for the next two and a half years. 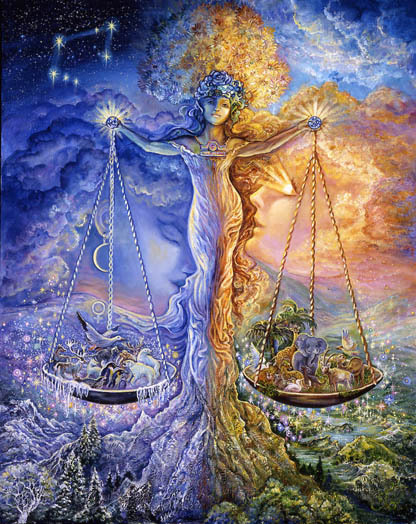 How you force your will on the world, protect and defend your feelings, relate emotionally and sexually, and create a balance between protecting your own needs and satisfying anothers’ will, to some extent, be set in stone. Over the next two weeks it’s wise to be especially aware of the messages you send with your actions. What you imply with your actions now will be difficult to reverse midstream. 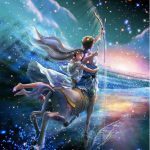 It is likely that you will be guided more by your instincts as you engage in a process of exposing what’s been hidden by “secret enemies” as the old astrology books would describe them. It seems you’ve been engaged in a battle between truth and fiction. The stakes are high and the truth needs to win. Friends, allies, and groups within the community may be important as you battle dark forces and big interests. The lid may not blow off of what’s currently simmering until late November. In the meantime there is a high stakes game in progress. Politically emotions run high. The family or group situation may be driven by deeply entrenched old wounds and dysfunction. You may be attempting to right the wrongs, to be the enforcer, the responsible one, the one who works harder than the rest to represent the truth. As always whenever Leo is involved there’s no lack of enthusiasm – or egomaniacal leanings. Err on the side of supporting a fair process and tone down the overconfidence and self-congratulatory, in-your-face celebrations. A sense of entitlement and disrespect could be the source of your undoing. Otherwise you win this one. 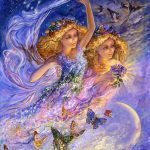 Mercury moves over your midheaven this week. It’s a high point for you – a culmination in terms of what you set out to accomplish. There’s no doubt that innate wisdom and intelligence combined with a commitment to service, self-improvement, and a willingness to sacrifice your own needs for loved ones, are part of this picture. Most likely congratulations are in order. Behind the scenes you may be cultivating an ending that holds within it the seeds of a new beginning. 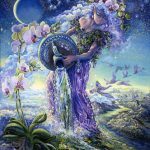 What may be more significant is your willingness to begin to let go of old habits, old methods, old health issues, an old job, and a sense of detachment from your inner workings, deepest longings, and wealth of untapped personal talent. Serving yourself might be your path toward providing your greatest gift to the world. Any thought of hanging on to the old remnants of an old way of life needs to be reconsidered. You’ve taken this as far as it can go without some major celebration and ending. The eclipse in August may help “push over the edge” what needs to go. 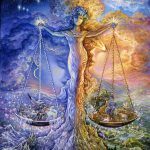 Libra is coming to a pivotal point where decisions need to be made based on a four and a half month review. What you believe now about relationships may be turned on its head as compared to what you used to believe. You may be coming to terms with the possibility of severing a relationship that demanded too much while providing too little. A return to balance may be part of this picture – facing a harsh truth may be another part. Decisions need to be made as you prepare over the next nine days to begin to move forward. 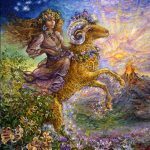 Venus’s move into Taurus and your 8th solar house of transformation assists a healing process that returns you to a more stable place. New doors open allowing you to trust yourself more and to entertain the possibility of being newly able to bond at a deeper level. A financial renovation is facilitated. Support flows in your direction even if you don’t ask for it. Facing the truth and acting on it is never a bad idea. It’s wise and very necessary if you hope to fulfill your potential and to remain vital. 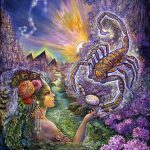 Scorpio moves into more expansive territory as Mars approaches the 9th house cusp. Since April 20th you’ve been engaged in a process of transforming your basic approach to the world. 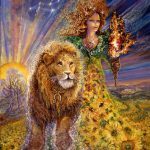 It’s likely you’ve released old sources of support, revived your courage, accepted the truth, uprooted relationships that proved to unsubstantial or lacking in love, cleared paths for initiating something new, reminded yourself that you could actually trust yourself, and let go of something undermining. Maybe you released an old attachment to a particular style of communication. Maybe you listen more. Whatever you’ve done, you’re not the same. You’ve earned the right to be free, to change your beliefs, and to expand into something bigger. Life may feel more open-ended and fun. You may be expanding your reach into places you never thought possible. Interaction with foreign people and places make life more interesting. Congratulations on letting go of what was hard to release. As usual you emerge from an ordeal stronger than ever. This week is the last week of a four and a half month journey through past and current relationships. Issues involving what you believe about your role within relationships, what you believe about other’s role, the maintenance of a healthy relationship with yourself, what’s working well, and what needs to be released. Relationships with friends, lovers, and kids provided the information you need to come to some new conclusions. It’s likely you know where you now stand. Your beliefs may be different than they were at the beginning of February. Soon you can begin to move forward. But more immediately you’re on the verge of a major emotional transformation involving your approach to home, family, and the past. Something about the way you relate to others and to your own emotional self needs to mature. Within the realm of relationships, it may be wise to wait until mid-summer to act on any conclusions. You will be operating at a higher level then. Give yourself some time and space and a chance to settle. It’s the self-respecting thing to do. 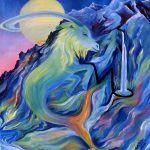 Capricorn may be involved in a search and rescue mission designed to expose the truth. Studying relationships, the nature of connections between the players, where the loyalties lie, what motivates who, and who owes what to whom, may be the focus of your investigation. 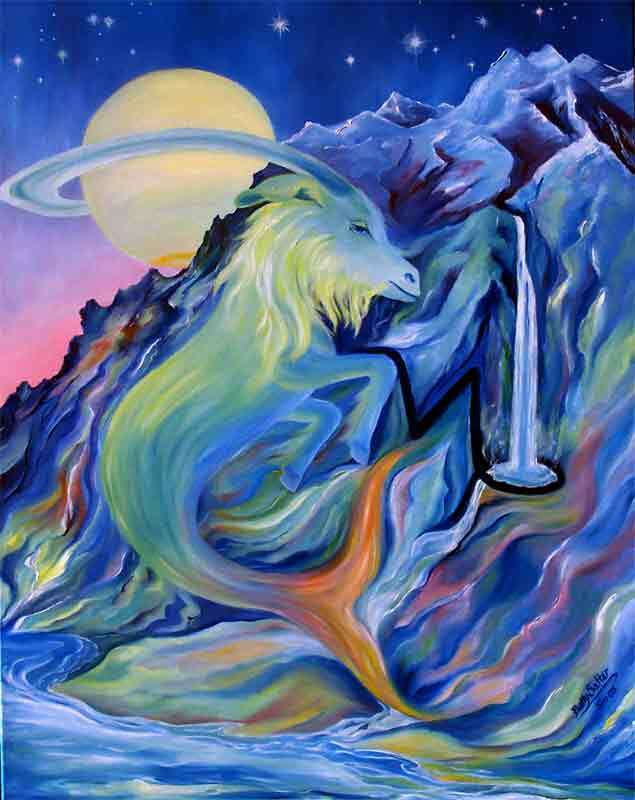 Capricorn needs to know the rules of the game, what’s fair, and her own strengths and weaknesses. As Mars moves into your 7th house it’s possible that conflicts will intensify. Enemies – or lovers turned enemies – will become more determined, testing you to see if you can stand your ground, stay true to yourself, remain organized, committed, and consistently enforce the boundaries you set. The presence of Pluto in your first house suggests you’re more than a match for anyone standing in your way. It also represents your temptation to win by stacking the deck, breaking the rules, or using underhanded tactics to defeat. You can win this game or end this game. You can afford to be respectful and fair. For you it’s the path you take is the most important thing. Long after it’s over most remembered will be how you achieved what you achieved… or ended what needed to end – not the fact that you did it. 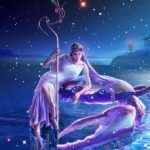 For Aquarius there’s a strenuous battle raging beneath the surface involving power, control, commitment, and the unraveling of old programming and conditioning. On the surface things may look fine. But there is the feeling that you’re losing ground, losing the battle, and losing in general. This week as Mars moves into Cancer and your 6th house, the inner battle may intensify. But it seems for the next several weeks that you may be capable of launching a better defense. You may be able to identify methods that would be more effective, strategies that would move you beyond the conflict, bad habits you could break, guilt, shame, and perfectionistic standards that could be thrown overboard to give you an advantage. What has landed you in a painful place is an old, generational, compulsive need to control. But there has never been a better time to heal and move on. 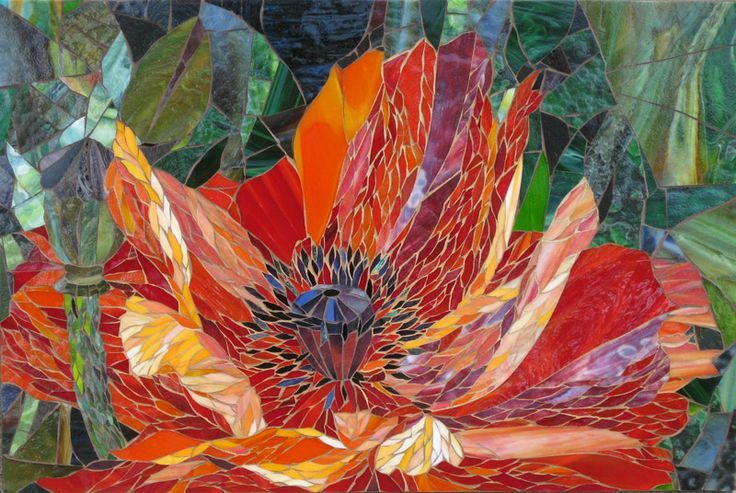 It may take a little longer, but the outlines of a freer, more self-respecting, love-infused life are beginning to take shape. 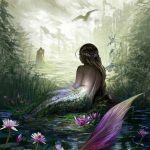 What Pisces believes about love and relationships has been in the process of a deep transformation since the beginning of February. The process is almost complete. It may have started with a dawning awareness that you were excusing the inexcusable, willing to be abused in exchange for “love, willing to be subtly undermined by a jealous few, or unsupported by those who claimed to be on your side. You may have been used by someone cold and calculating, or neglected. If all went well you were thrown back on yourself – left to ask the most important question “what am I doing to give the impression that this is all ok?” You’ve had four and half months to think about it and have most likely come to some conclusions. Most importantly there has been some fundamental change in you and the relationship you have with yourself. 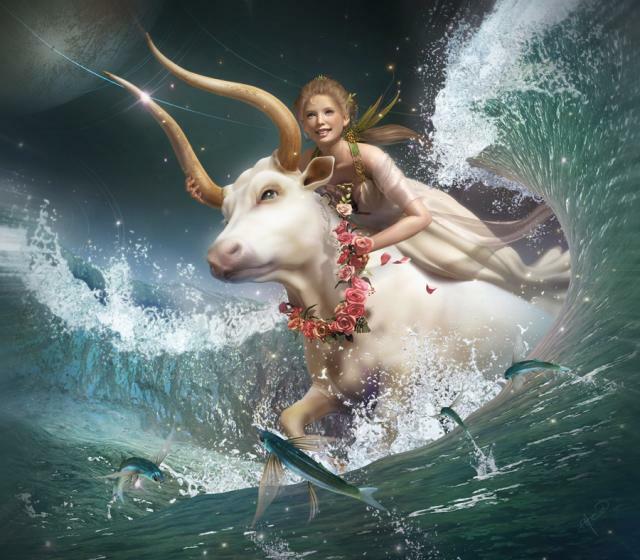 Venus’s move into the sign of Taurus indicates that after a painful few months, you’re stabilizing, connecting with new rhythms, emitting a more substantial quality of energy, standing steadfast in your own corner, aware of the kind of messages your broadcasting. You’ve come a long way.